More than 15 million people sampled Yahoo's live stream of an NFL game on Sunday, the two partners said on Monday. But viewership was significantly lower than it would have been on television. Most of the audience for the Bills-Jaguars game was in the United States, but about 33% came from other countries, the partners said. Sunday's live stream marked the first time that a single company had distributed an NFL telecast all around the world via the Internet. It was widely seen as a test for future NFL streaming efforts. The NFL said Monday that it was "thrilled with the results." Technical reviews were mixed, with many fans reporting a seamless live stream, while others ran into connectivity trouble. Average viewership per minute was high by web live-streaming standards, but low by NFL TV standards. The partners said 15.2 million people were exposed to the stream, many of them through Yahoo's (YHOO) popular home page, where the video played automatically. There were 33.6 million total streams (meaning many people either reloaded it at some point or left and came back later). "Over 460 million total minutes of video were consumed" during the 195 minute game, the partners said, which implies an average viewership per minute of 2.36 million. An NFL spokesman confirmed the figure. Afternoon and evening NFL games on TV average 10 to 20 million viewers per minute. A Sunday morning Jets-Dolphins match-up earlier in the season, televised by CBS, averaged 9.9 million viewers. 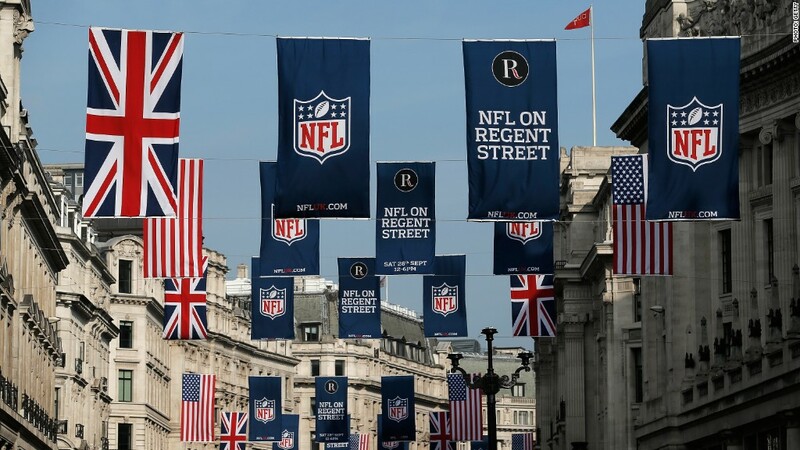 Like the Bills-Jaguars game, it was played in London at 9:30 a.m. ET. Jets-Dolphins was a higher-profile game than Bills-Jaguars. Still, Sunday's contest wound up being a nailbiter, likely triggering a surge of viewership in the fourth quarter. The partners did not release any data about the peak number of simultaneous live streams. But if the stream averaged 2.36 million, as the data indicates, then the Bills-Jaguars game is one for the Internet record books, if not the NFL's. CNN's recent debates peaked with almost 1 million simultaneous live streams. Last season's Super Bowl peaked with 1.3 million. Sunday's match-up was televised by local stations in the Bills and Jaguars home markets. The TV ratings will come in later on Monday and will likely add about a million viewers to the total. In the meantime, the NFL focused on its unique audience figure, the one that measured how many people the game reached across all screens. "We took a game that would have been viewed by a relatively limited television audience in the United States and by distributing it digitally were able to attract a global audience of over 15 million viewers," NFL senior vice president Hans Schroeder said in a statement.